L'APPARTAMENTO “LA RONDINE LUCCA” E' UN TRILOCALE PER AFFITTO TEMPORANEO CASA/VACANZE CON 5 POSTI LETTO A 800 METRI DALLE MURA DI LUCCA. E' COMPOSTO DA : CAMERA MATRIMONIALE, BAGNO CON DOCCIA E SALA CLIMATIZZATA CON DIVANO LETTO DOPPIO E POUFF LETTO SINGOLO AL PRIMO PIANO; AL PIANO MANSARDA SI TROVA LA CUCINA ABITABILE, IL BAGNO CON DOCCIA E UN'AMPIA TERRAZZA DI 20MQ. CON TAVOLO PER PRANZARE ALL'APERTO E OMBRELLONE. PICCOLO BARBECUE A CARBONE. 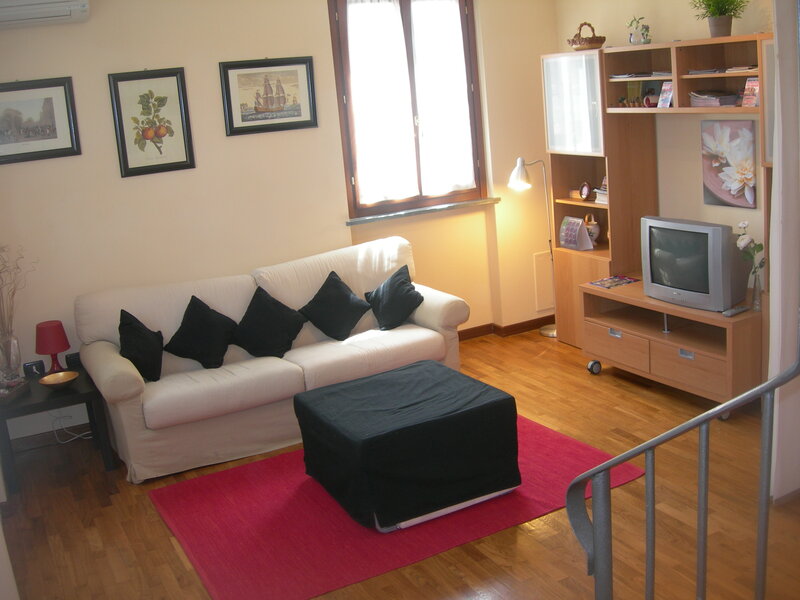 The apartment is situated only 1000 metres far from the historical urban city wall of Lucca in a quiet place. There you can find a double room, a great room with a bed-settee, a bathroom with shower. On the mansard there is a kitchen with dish washer, a second bathroom with shower and a large terrace with barbecue where you can eat and see the old towers of the city. There is a beautiful view over Lucca.